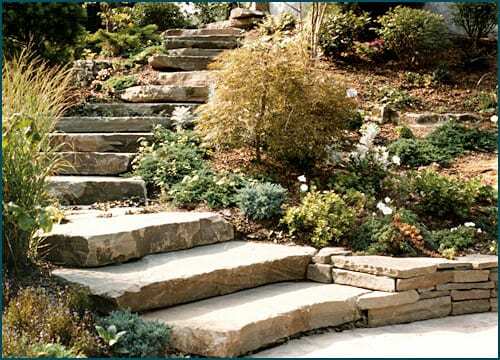 Karney Natural Stone Steps are completely natural - top and bottom and all edges. 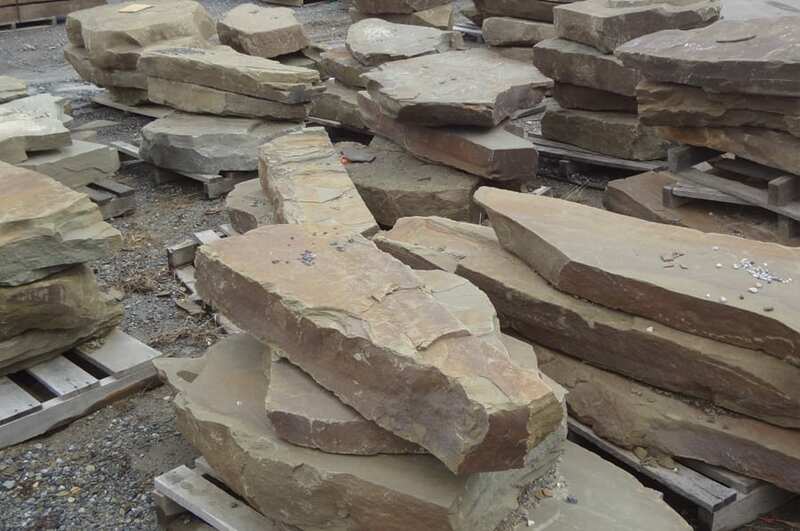 Karney® is a registered trademark of Wicki Stone - nobody has more Karney stone products than we do. 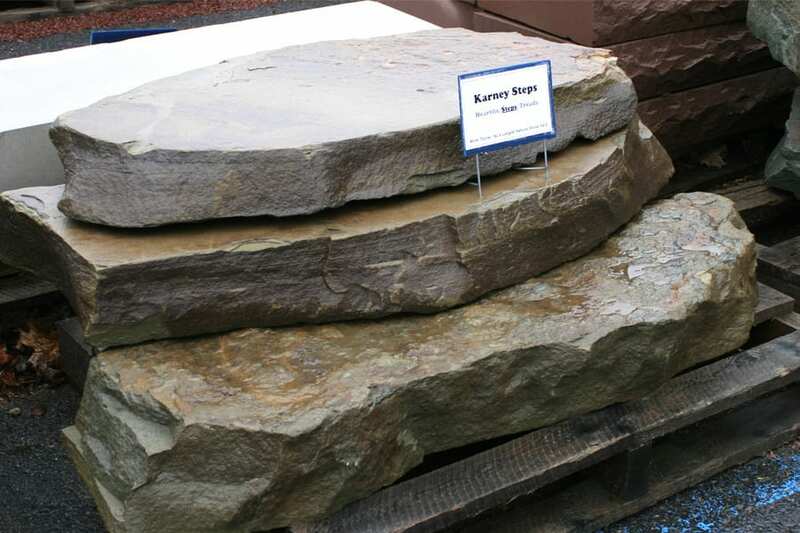 Karney Natural Stone Steps are just one of three types of Karney Steps we stock. The medium to dark brown tones of Karney are present in each step, many steps have unique account colors added in. 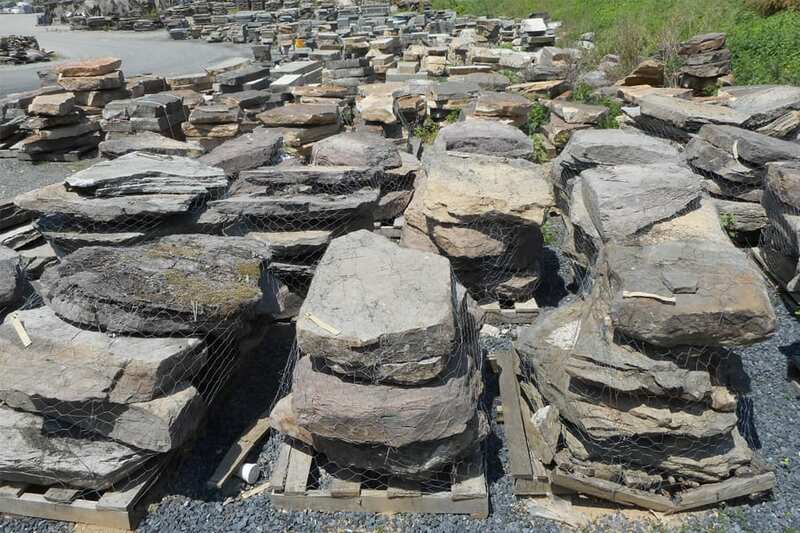 We typically have a large number of sets to choose from. 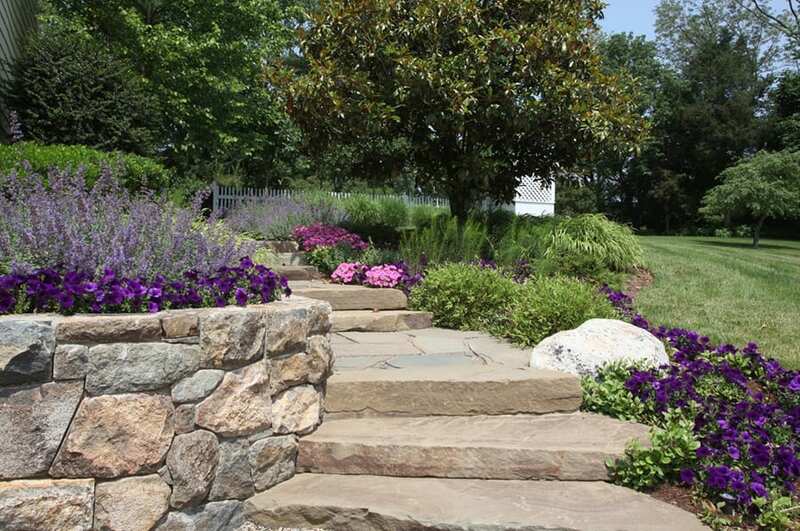 Karney Natural Stone Steps at Wicki Stone in Great Meadows, NJ. 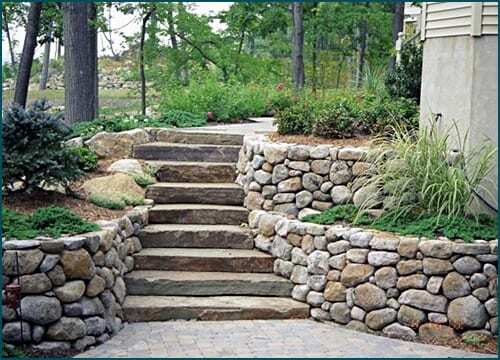 Irregular steps pulled from the same sources as our popular wall stone. Brown tones with darker and lighter accent colors. Shades of tan or brown. Subtle accent colors add interest. Completely natural. Edges are highly irregular, top surfaces can be rough and uneven. 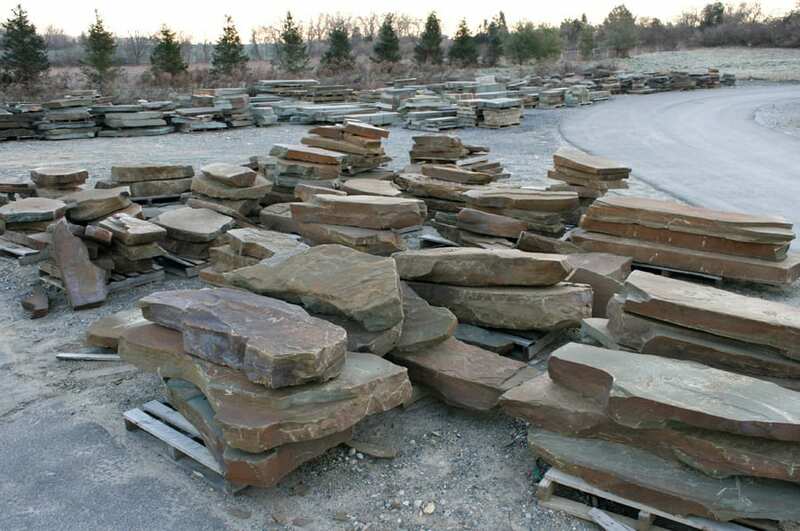 Instantly gives a classic, aged look to any landscape. By weight, in sets (sets are usually 3 steps but can be 2 or 4+). Sets cannot be broken up and mixed and matched.